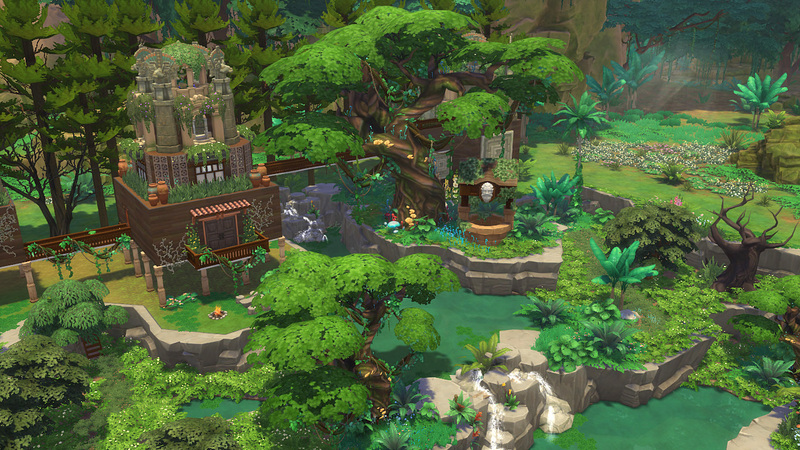 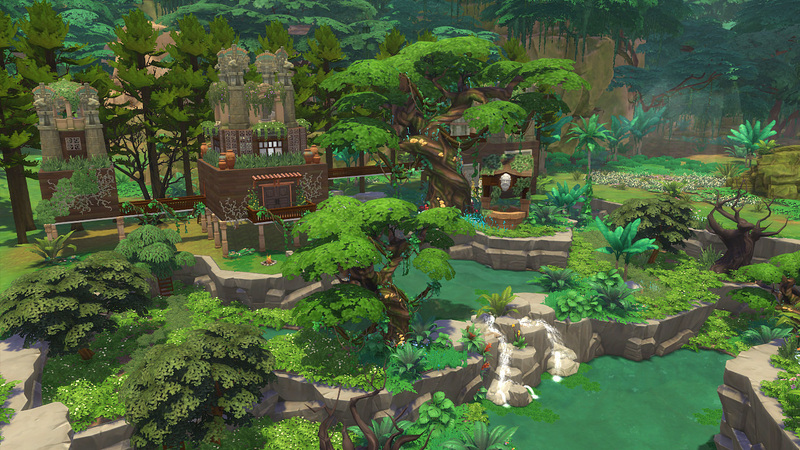 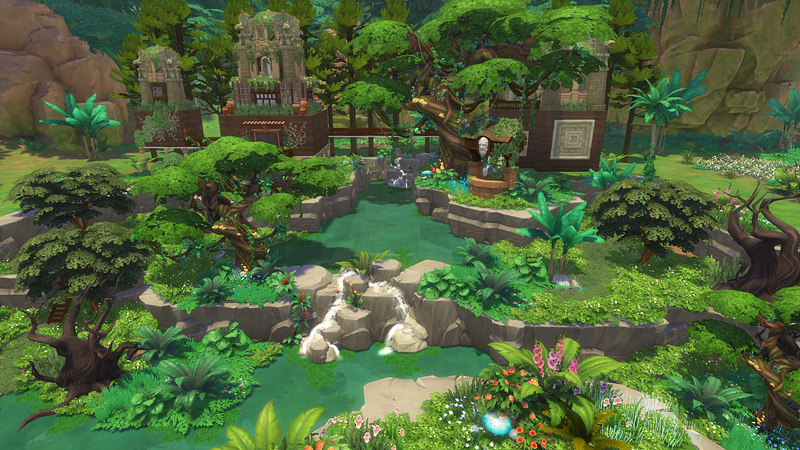 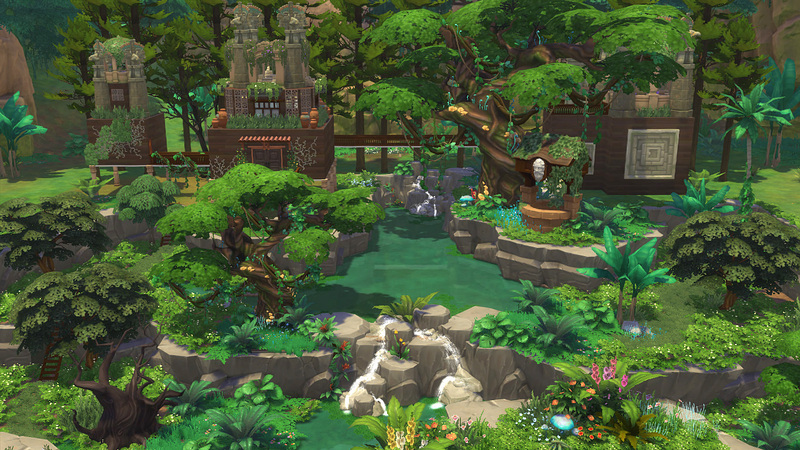 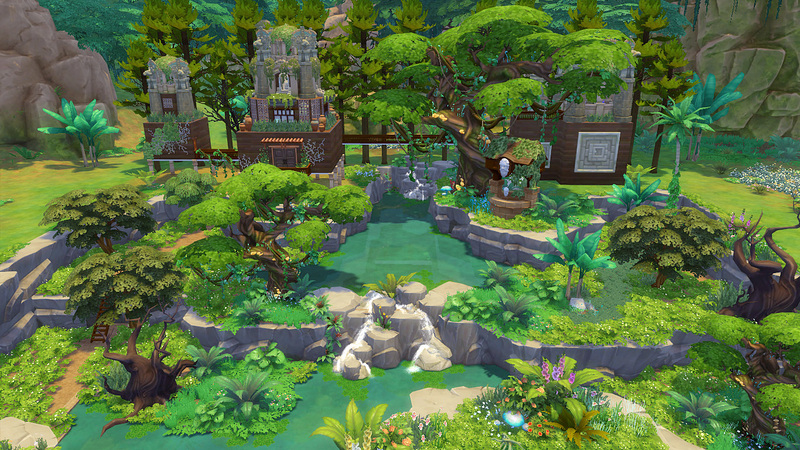 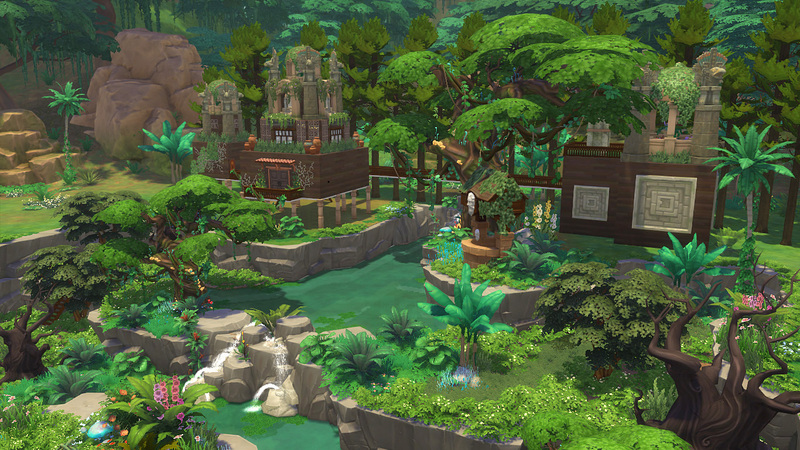 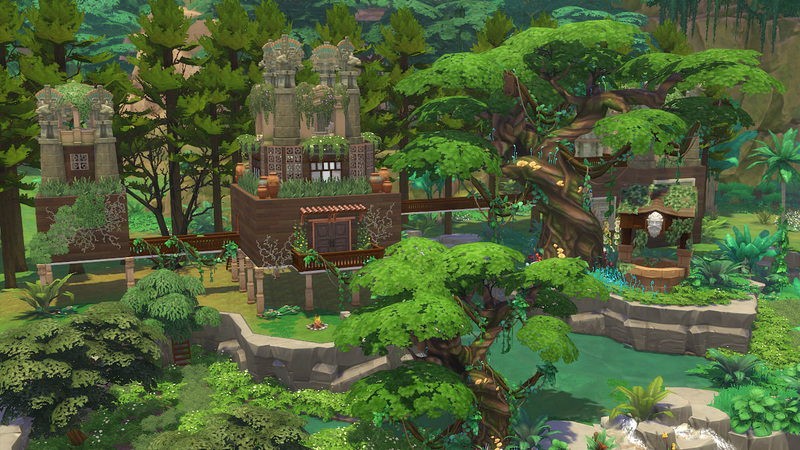 This is Jungle Paradise Resort, designed in Maya style.There are 1 bedroom, 1 bathroom, 2 living room and 1 kitchen. 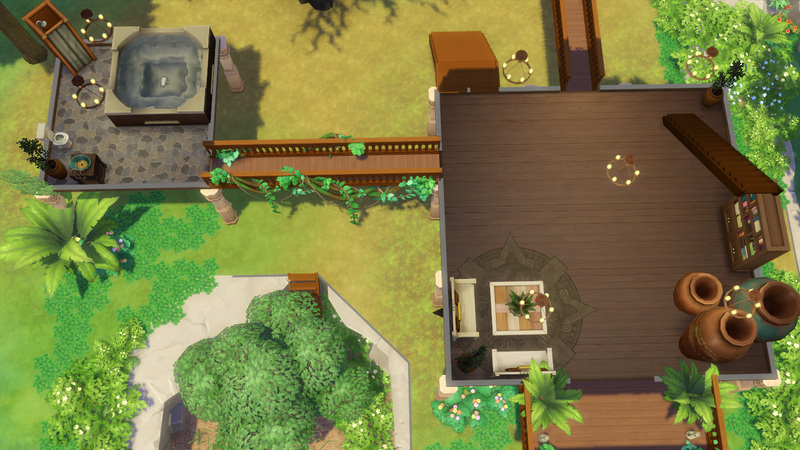 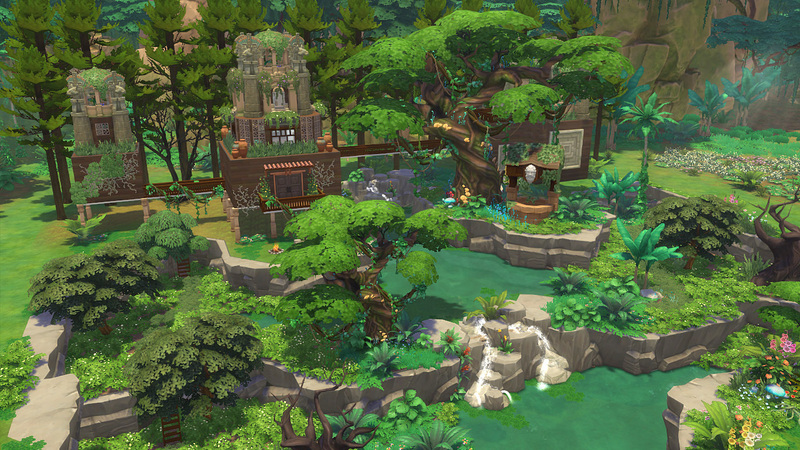 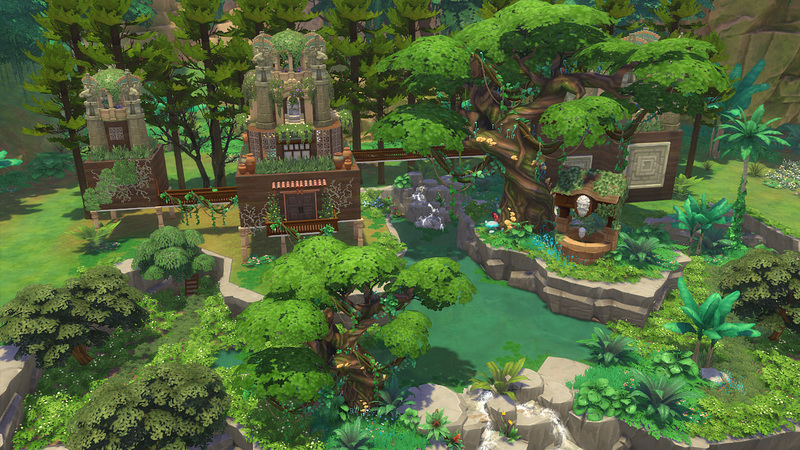 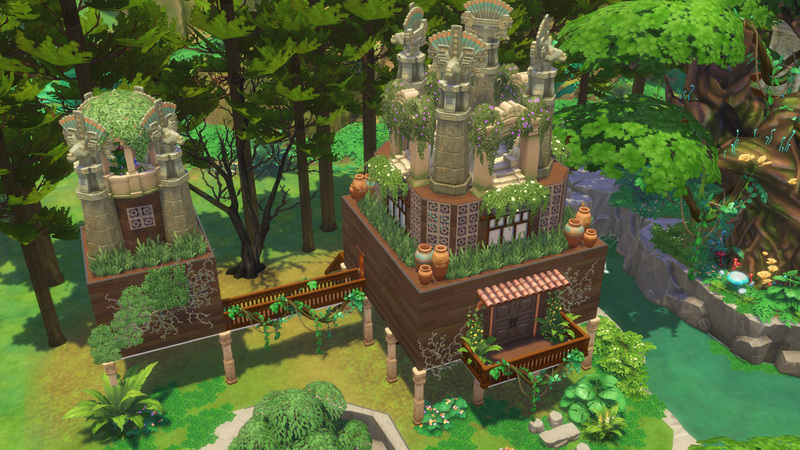 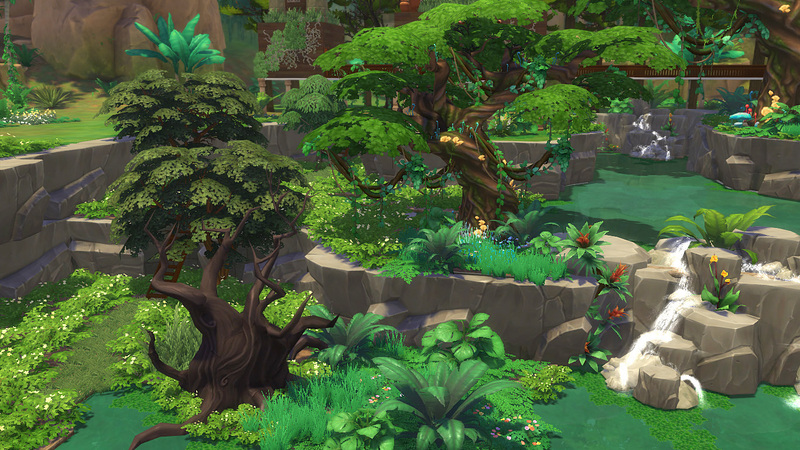 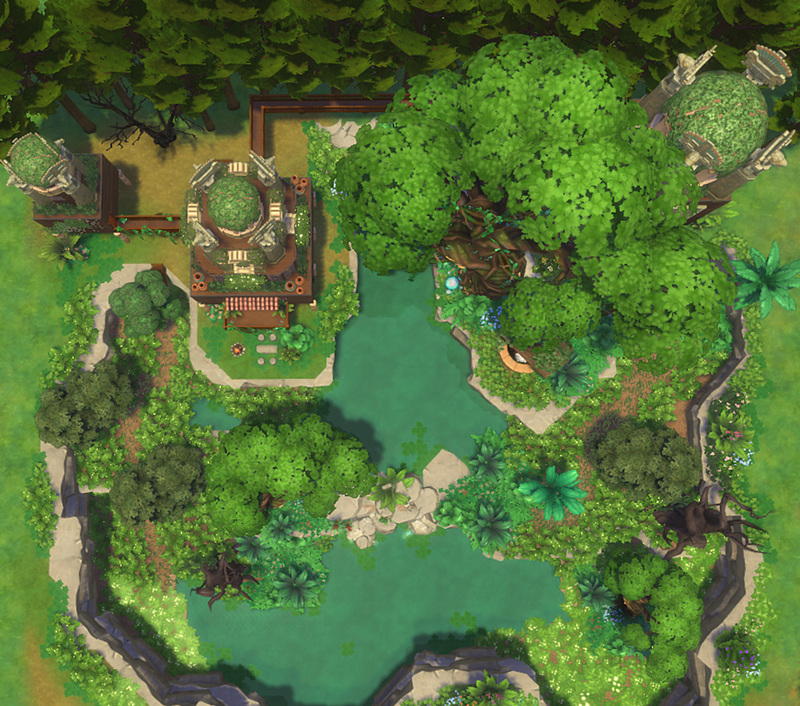 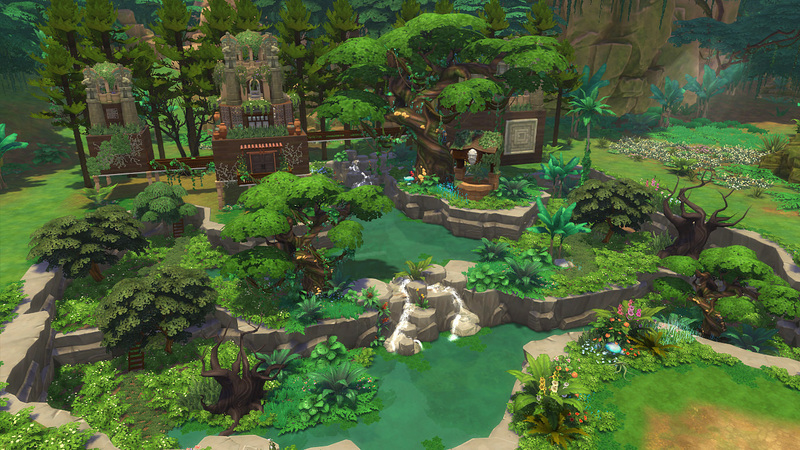 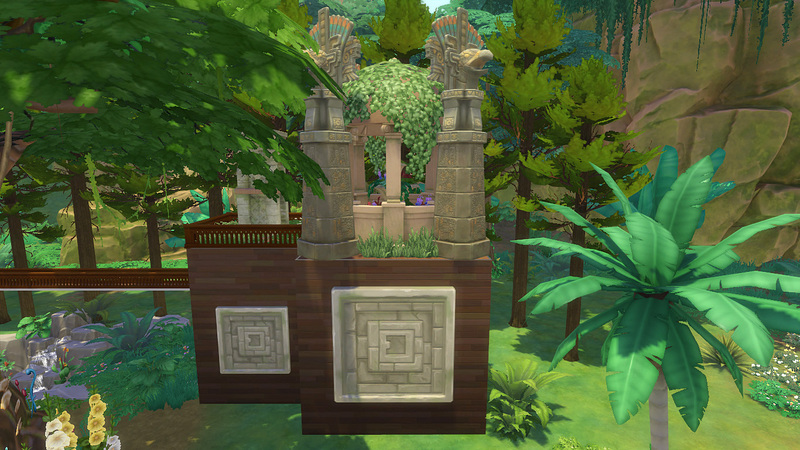 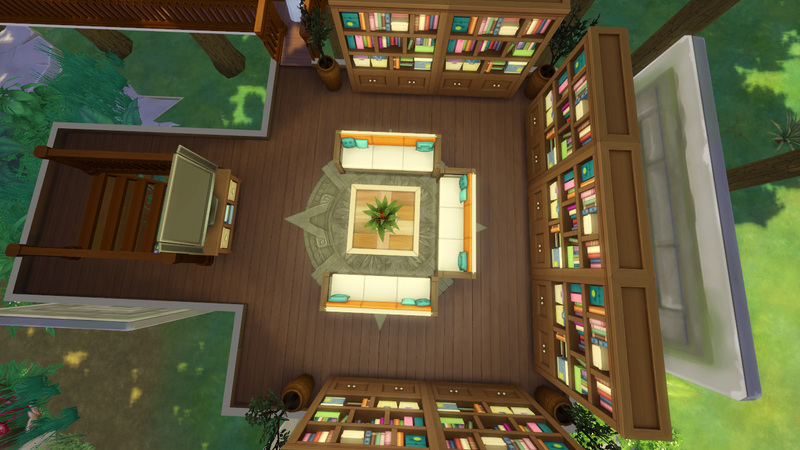 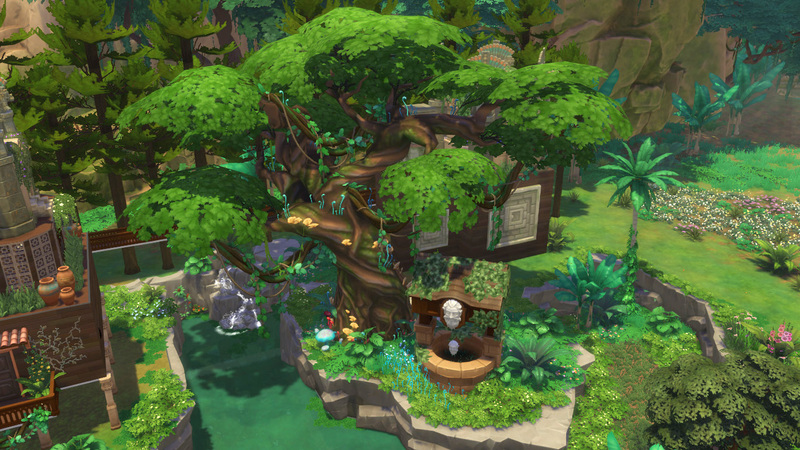 Better when located at Selvadorada where lot size 64x64. 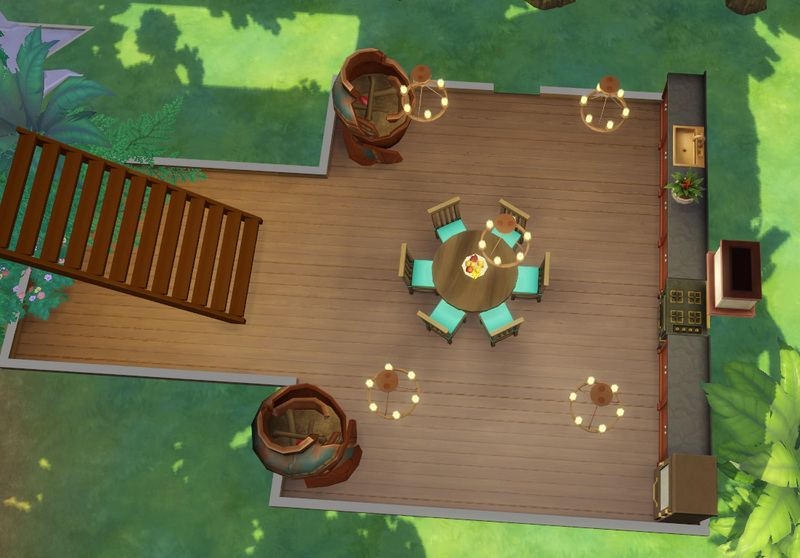 It is elegant for those looking for a nice relaxing stay, but also fun for the water loving sims. 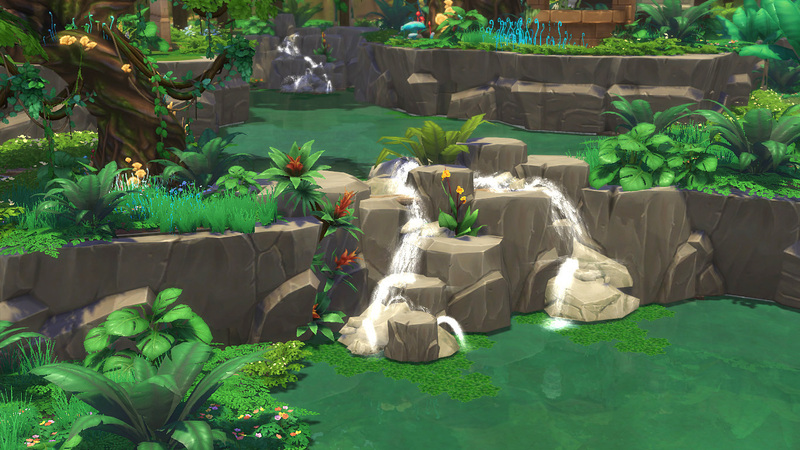 There is a large pond with nature waterfalls. 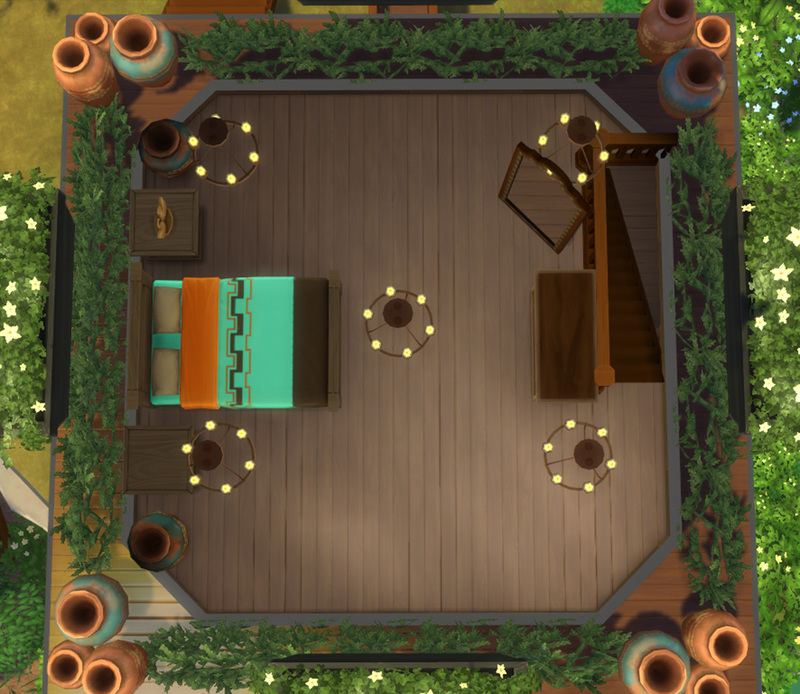 Let's go on vacation now!